A Twofer - Ramblings of Mad Shutterbug & the Border Collie Bros.
Just to show you (mostly) what we were up to today. 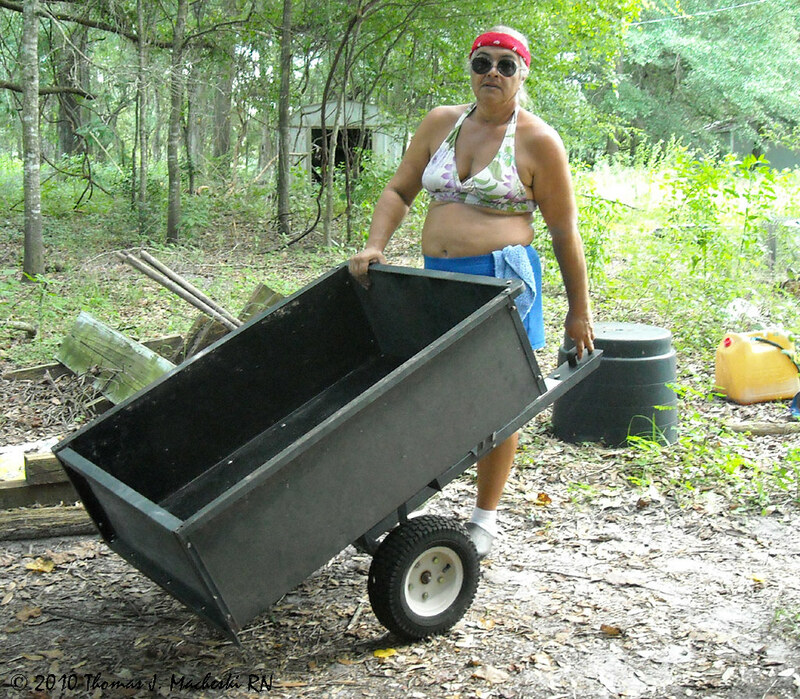 The cart is for her yard tractor. We could also hook it onto the big tractor. Might look a bit odd though. She's looking forward to scraping out the goat barn now. No, Srsly! All that goat manure = Most Excellent Fertilizer! This fellow really is not very large, about the size of a US dime. Maybe 1 cm across entire, and tucks legs in under that spiny cover. They very politely mark their webs so we can see them and not walk into them. Oh, and this early evening while out feeding teh Horses, Kids, and Cows (specifically after feeding Cows and Kids and before Horses because we were extricating Stupid Goats from fence), overhead a cry, looked up, and 18 kites swooped and looped above us. We know there is a pair that nests nearby. We've not seen this many together before. Welcome to North Central Baja Jorja. My first thought was "who put a miniature cupcake into a spider's web?" Cool. Hmm... maybe they are hunting for cupcake-eating flies? 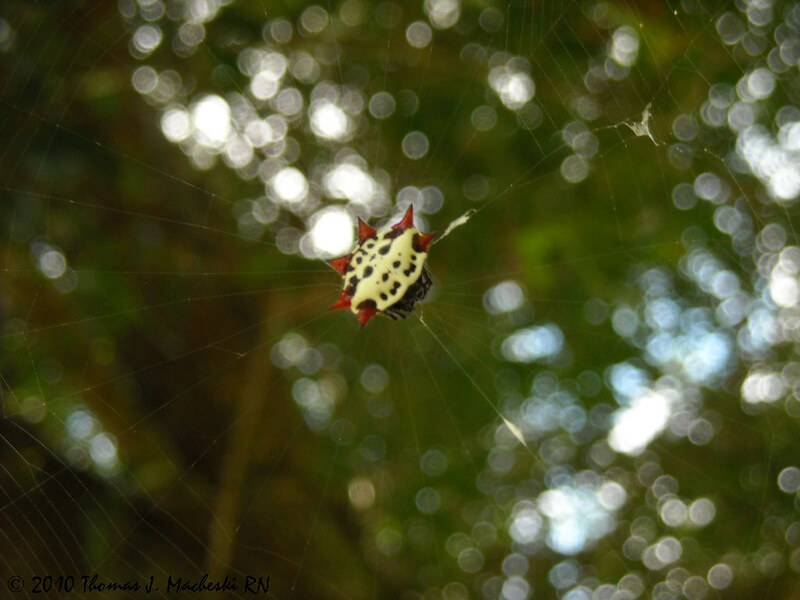 They are quite polite little spiders (from a human's point of view) as there are three bands of denser web, marking the three sides - they always have three anchor strands and the web is roughly triangular between those. Unlike most of our other spiders here in North Central Baja Jorja. I've never seen a spider like that before. Wow! Pretty sure I've only seen them around North Central Baja Jorja. That is an amazing spider! Is it dangerous? Definitely dangerous to flying insects. We've never been bitten by one, perhaps because they so politely mark their webs for us. Much better than the webs of banana spiders. *shudder* I've walked into too many of those.